The moment has arrived…it’s time to leave the lecture hall and learn how to take care of patients. Are you worried that you won’t know enough during teaching rounds or have time to see your friends and family? NEJM Resident 360 hosted a discussion (Put on Your White Coat! Preparing for Clinical Clerkships) with clerkship directors and other experts to answer students’ questions and give advice and practical tips on getting the most out of your clinical clerkships. Here are some highlights from that discussion. Ask to meet with the student who is leaving the team you are joining to learn about expectations, schedule, team dynamics, and to get advice about how to succeed on the rotation. Contact the resident so you know where and when to arrive on your first day. 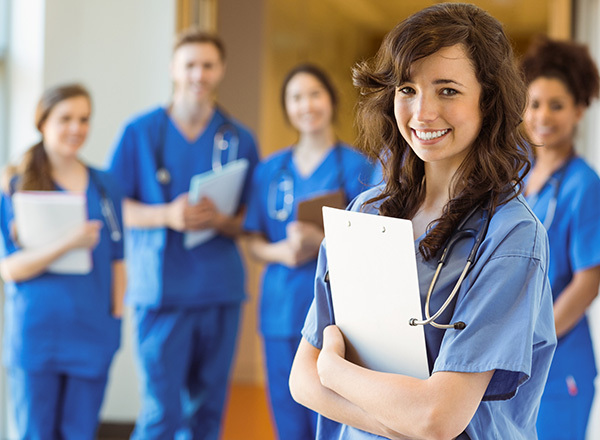 On your first day, dress professionally and show up early to learn how to access your team’s list of patients in the medical record, know where to put your belongings, and find the bathroom. Ask other students and residents how they keep track of their patients’ data. During your rotation, make your presence meaningful every day. If you are reliable and enthusiastic, you will be entrusted with a range of tasks, from minor to major. Most attendings care less about your ability to answer every content question and more about your dedication to patient care and desire to improve your knowledge and skills during the rotation. Never feel that you are “just the medical student.” You can be an integral part of your team if you take initiative. Take ownership of your patients: Each day, be the first to see your patients and become the team expert on their cases and stories. Check in on your patients two or three times each day, even if your resident or attending doesn’t have time to do the same. If you take the time, your patients will consider you the primary member of their care team. Contribute to team learning: The more cases you are involved in, the more you will learn. During rounds, keep track of to-do items for patients cared for by the entire team. If everything has been completed for your patients, volunteer to help with other patients by offering to run samples to the lab, call a pharmacy to confirm a patient’s medication list, or find a clinically relevant article and summarize it in an email or presentation. Your effort to go above and beyond will be noted. Make sure to take home three pearls from each educational conference you attend. Practice taking a thorough history and physical exam techniques daily. Hone your medical decision-making skills on rounds by developing a differential and committing to an assessment and plan in your head as you listen to team members present patient cases. Then, make a list of clinical questions to research when you have time. Inventory the strengths of the people you will be working with and tap into them. If one of the residents is great at reading EKGs, ask her review one with you each day. If your attending loves evidence-based medicine, select a paper and suggest a time to review the results together. Consider asking residents or attendings whether you can round with them individually so you can observe and practice physical exams and discuss their diagnostic and management decisions. Always stay where the action is. Ask to participate in bedside procedures, especially for your patients. Ask if you can accompany your patients to the cath lab or endoscopy suite so you can see how the test or procedure is performed and be the first to get preliminary results. These experiences may even enlighten you to potential career options. Balancing optimal clinical performance, studying for your end-of-rotation exam, and self-care can be difficult, but it is possible to be a great medical student and still attend to your own wellness. Studying for exams: Always prioritize patient care and bedside education but learn how to maximize down time. Bring study materials to read but let your team know you are close by and easily reachable if something interesting comes up or they need you. Most students find question banks to be the best studying resource for end-of-rotation exams. Pace yourself. Look at the total number of questions and space them out throughout the rotation, leaving a few days at the end to review high-yield topics before the exam. Consider cooking for the week on your day off and stock up on healthy snacks and easy-to-prepare foods. Run errands after work if you get out early one day. Recharge on your days off by doing something that gives you joy or peace of mind. For some, it’s exercise, for others it could be watching television, brunch with friends, or writing in a journal. Constantly changing rotations and schedules can make you feel uprooted from your support system. No matter how busy you are, stay connected with your family, significant other, and friends. Schedule phone calls during your walks to and from the hospital and plan meals with friends on your day off. Also keep yourself open to making new connections; your classmates, residents, and attendings on your rotations could become fantastic mentors or friends. Remember that if you don't stay healthy, you can't help your patients to the best of your ability. Reflection: The responsibility of taking care of patients — and even being in a working environment for the first time — can be difficult. If you feel you have made a mistake, are having issues with team dynamics, or lose a patient with whom you've bonded, you can carry the stress around with you for a long time. Take the time to step back and think about what happened and why, and if anything could have been done differently. Find an intern, a trusted advisor, or a colleague whose advice you value, and talk it out. That person can help you analyze what happened and strategize about what to do differently in the future. Speak up: As a medical student, some situations warrant finding the courage to speak up. Be motivated by doing what is best for your patient. If you are unsure why your team made a clinical decision, ask a question such as, "I'm not clear why we chose to do X, could Y work also (or instead)?" Expressing your concern as a question shows genuine interest and acknowledges your inexperience. Speaking up can lead to a learning opportunity for you or encourage your team to consider your suggestion. Unfortunately, although far from the norm, situations involving abuse of power on the wards still occur. No student should be mistreated — your questions should be encouraged and your input respected and welcomed. Most schools have a policy for student mistreatment, with clear channels to report problems. Start by speaking with your clerkship director who should listen to your concerns and protect you from retaliation for reporting in good faith. Also, remember how you feel and break the cycle by treating others well when you are further up the training ladder. Most student rotations have structured mechanisms for feedback throughout and after a clerkship. However, you should take the initiative to solicit feedback during the course of your rotation to help improve your skills throughout. At the beginning of your rotation, ask your resident and attending about their expectations and discuss your required clerkship tasks. Identify at least two areas that you would like to work on. After you receive feedback, be sure to take it! Applying constructive feedback will surely impress your team and be reflected in your evaluation. Even before the clerkship year ends, you will need to think about getting letters of recommendation for your residency application. Letters should come from attendings (not interns or residents) with whom you have worked closely. End a rotation by thanking them for their teaching and asking if they would be willing to write a strong letter of recommendation on your behalf. If they agree, plan to meet with each letter writer in late spring or early summer before your residency application to discuss your career plans and what you would like them to highlight in the letter. Bring a copy (or email in advance) your curriculum vitae and a draft of your residency personal statement. In summary, your clerkship year is a transformative period when you will learn to care for patients, polish your clinical skills, work as a member of a team, and be exposed to potential future careers. To get the most out of your experience, bring your best every day, challenge yourself, and be the doctor that you would want to take care of you or your family members. 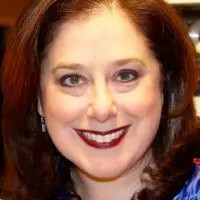 Dr. Lisa Bernstein is a general internist and an Associate Professor of Medicine in the Division of General Medicine and Geriatrics at Emory University School of Medicine. She received her medical degree from the Medical College of Georgia and completed her internship and residency in Internal Medicine at Emory University. Dr. Bernstein is a dedicated clinician-educator, focusing much of her career on clinical skills education. As a leader in medical education in the Emory School of Medicine, she is the Director of the Essentials of Patient Care curriculum, a Society Advisor, and serves on the Executive Curriculum Committee.